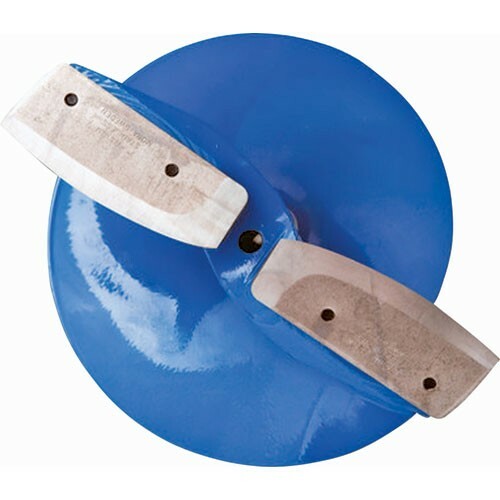 Ice auger blades must be installed correctly not only to cut ice, but to prevent damage to your new or resharpened blades. Below is an image we received from a customer that was having problems getting an auger to cut ice after replacing the blades. The blades are installed upside down. This has been a common problem so we wanted to help out & clear the confusion. The picture below demonstrates correct blade orinetation. The flat edge of the blade is the side that will make contact with the ice. 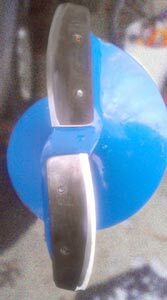 If your blades have it, you will see the manufacturer imprint on that side as well. One final suggestion - Always Keep The Blade Guard On When You Are Not Cutting! Not only is it safer but the blades will last much longer!